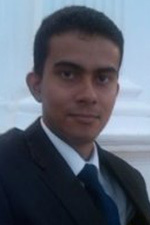 Graduate of University Moratuwa Sri Lanka with BSc (IT) from Faculty of Information Technology. MBA from Postgraduate Institute of Management, University of Sri Jayawardenapura. Had his primary and secondary education at Royal College, Colombo 7. Commenced his career at hSenid Software International as a business analyst and worked for 8 years heading two business units (WebITPro and HRO). Is a visiting lecturer at the Faculty of Applied Sciences of University of Sabaragamuwa and a Project Supervisor at the Faculty of Engineering of Open University of Sri Lanka. Was a Member of the EDEX Council, ORHRPA and Lions Club International. Currently heads Observer Jobs (Pvt) Ltd, a fully owned subsidiary of Lakehouse (ANCL), which is responsible for the communication of information & creating awareness related to employment and education sectors and their opportunities through print and digital mediums and events.